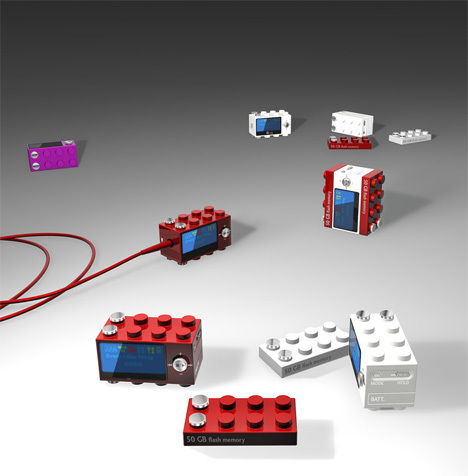 Run like Hell: Lego-MP3player: Cool!! I found a nice article in the web. A MP3 player which looks like a lego brick. The core unit houses an OLED screen, 4-way directional toggle, and 50GB of memory. Should you need more, just snap on another memory module. Wanna share music with friends? No problem - just connect two BLOCS together and get your sync on. i think it is possible with nfc ?